Vodacom is one of the largest telecoms networks in South Africa and has one of the best internet quality of service nationwide as well as affordable data plans. Vodacom has data plans for everyone, whether you need data for just a day or you need many gigabytes. In considering which Vodacom data plan to buy, you need to determine what you want to use the data for, how much data it will consume, how long you want to use it for and how much you are willing to spend. Vodacom has daily, weekly, monthly and quarterly data plans just like other networks in South Africa. 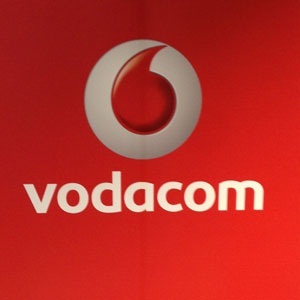 This article contains the list of the latest Vodacom data plans in South Africa in 2019 and how to subscribe to them. These are the codes for all Vodacom data plans in 2019, to get information about the different data plans you can also dial *135# and follow the instructions. Internet Daily is a prepaid once-off data bundle that is available until midnight on the day of purchase. It’s great for those who want to browse the internet affordable and connect with friends and family on Facebook and Twitter without the stress of bill shock. The Weekly and Fortnight bundles are once-off and recurring bundles that are available to customers for purchase to prepaid and top-up customers on a weekly bases. Additionally, weekly night bundle that is available for 7 days including the day of purchase between 24h00 to 05h00. Dial *135# and follow the prompt. This option is ideal if you don’t exceed your bundle often and want to take advantage of the lower in-bundle rates. You can also choose the monthly recurring data bundle option which gives you peace of mind by automatically allocating your selected bundle at the beginning of every calendar month. Data bundles are valid for 30 days from the date of purchase. *Out of bundle rates shown apply to Vodacom’s Power Bonus Prepaid Price Plan, please refer to your price plans terms and conditions for applicable out of bundle rates. You can freely change to Power Bonus at any time by dialling 1187, free from your Vodacom Prepaid phone. This Vodacom offer allows its customers the opportunity to pay once upfront and get data every 30 days for 3,6 or 12 months. Out of bundle rate of the applicable tariff plan will apply. Vodacom’s Internet Starter Pack offers 12 allocations of data every 30 days by paying one amount upfront. You can choose between the SIM only deal or the starter pack which includes a modem.